A very short distance south of Taksin Bridge is the rather urbanized temple of Wat Yannawa. The temple was built early in the nineteenth century. It was quite popular with the Chinese who settled the neighborhood after Chinatown began to fill up. This is still a predominately Chinese neighborhood, which is why the information plaque is in Thai, English and Chinese. The temple's singular attraction is its very unusual wiharn in the shape of a Chinese junk. 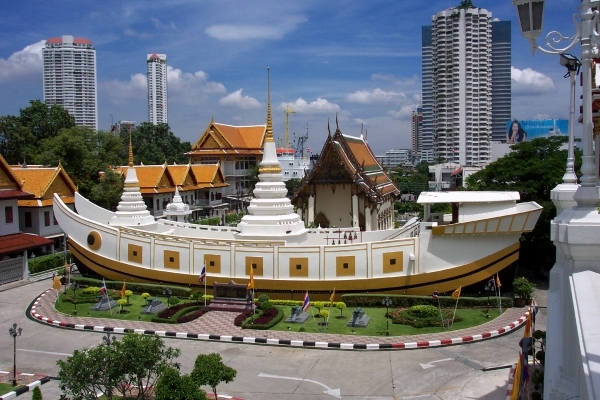 The wiharn was built on the orders of King Rama III, who saw steam ships replacing the old junks, and wanted the people to remember the old ships that had originally bought so much prosperity to the kingdom. The 'ship' is made out of concrete, with two pagodas where the masts would normally be. The altar is in the wheel house above the stern. The ubosot behind the boat is looking rather tired and run-down compared to the freshly painted wiharn. The gatehouse as well as the two large buildings flanking the wiharn are all recent additions. Being a sort of 'one hit wonder' the temple fell off the tourist map many years ago. 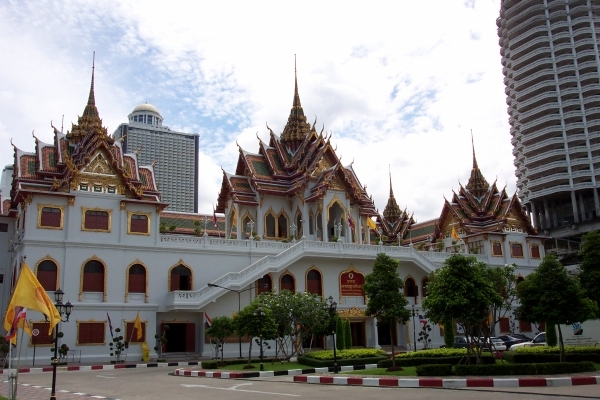 A bit part of its current importance is owing to the fact that the temple's abbot is current the Supreme Patriarch of Thailand's main Buddhist school. 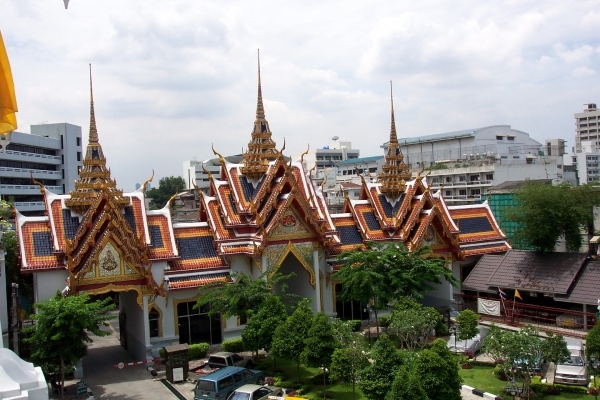 Wat Yannawa is a very short walk south of the Taksin Bridge Skytrain station. Exit the station to Charoen Krung Road, turn right, and you'll soon come to the temple's large gatehouse.